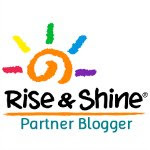 A Dollop Of Me | family, food, healthy living, life's tidbits: Childhood Toys! I wrote awhile back that Bubbles has inherited a large number of my childhood toys that my mother carefully kept all these years. Funnily, my mother doesn't know what happened to the Barbie dolls I owned. *Correction, apparently they have been found! I had 3 Barbies (I think!) and 1 Ken doll. In storage, there's still a lovely Barbie kitchen set that has a fridge, food, cutlery and crockery! 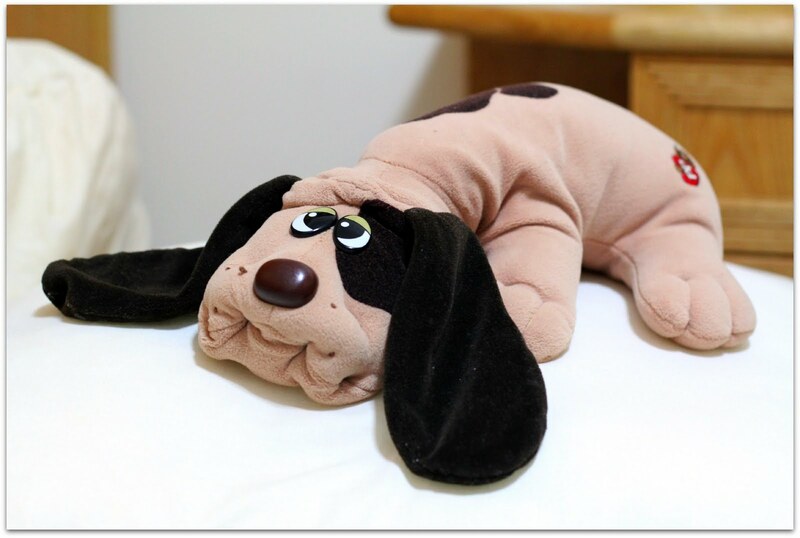 Do any of you remember the Pound Puppies series? This is technically my sister's but for the purpose of this post, I shall claim it. Waha! The cutlery you see here comes as a set - I took one out to photograph. Somehow the quality of plastic toys these days just don't match up! 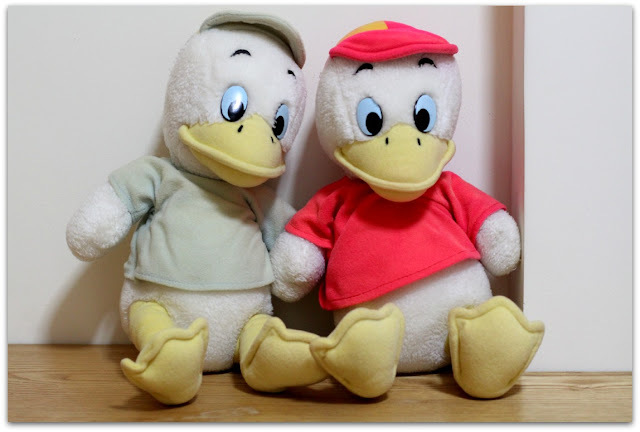 We have a few pairs of toys like these Donald Ducks. One for my sis and one for me! a whole lot of toys and trinklets for the both of us. Dad had just returned from a long trip to the US! It was such joy to see Daddy and to be treated to all those presents! we had these cute ones! Recently, my sis shared that she remembered me egging her to say that she wanted this caterpillar too, just to put 'pressure' on my parents. Haha. I honestly don't remember that at all! Wow, your mom is amazing. How did she maintain these toys in such good condition? My parents didn't keep the toys that I played when I was young. After several house-moving, they were all dumped. My parents and mil hoarded our toys too! So K plays with playmobil, duplo and (Lego still not introduced) clocks and boats from the 70s! My mum kept our toys too! And we have a few boxes of happy meal toys! We ate sooo much happy meals! I rem the caterpillar and we still have the pound puppy! Do you recall....cabbage patch kids?? 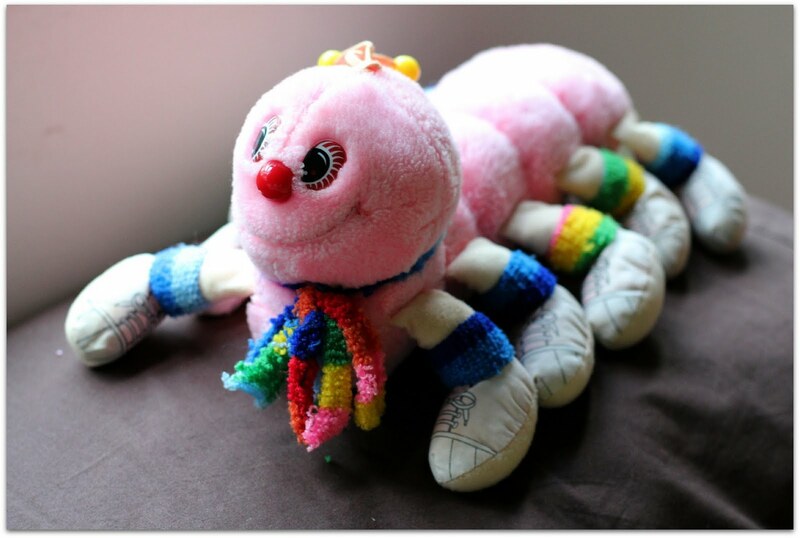 Such a nostaligic post :) I had a couple of these toys likethe caterpillars and pound puppy. Heck I even remember how the song went. Conincentally my mom just washed some of my toys for Sophie which included a smurf plush, Elmo, Cookie Monster and Care bears! 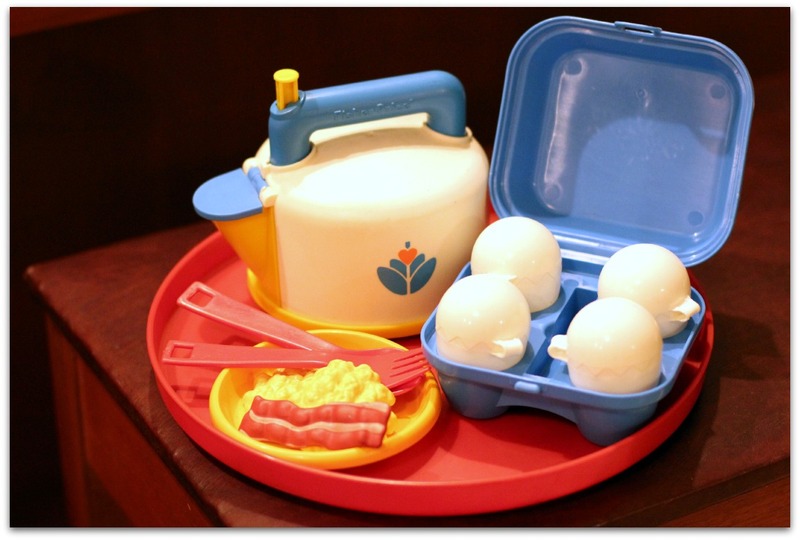 Your Fisher Price set is so retro looking, I like! this post made my heart smile =) I had that exact pound puppy, and that bacon and egg looks very familiar! 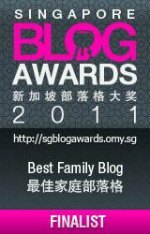 Aiyoh, I had alot of nostalgia reading this post! My mum kept all my pound puppies (6 of them! ), my 2 care bears, and all my Macdonald happy meal toys... So now Junior knows all about hotcakes and big macs thanks to her, and not because we feed those to him! I was never a doll person (the only Barbie I had I quickly tortured and dumped), but most of the animals I had are still around... :) Had quite abit of masak masak, but those were passed to cousins, so they didn't make it thus far! Your mum really took care of the toys, everything looks so nice and new! Hahaha! You did! Do you still have it? No fair, I don't remember owning Play Mobils!! Oh My Little Pony! I know that, but I didn't own one either. haha, we could have swopped toys when we were kids! Yes I haven't introduced Barbie to Bubbles. Someone recently gave her a Barbie-like doll but I've kept it for later. Does K like Barbie? Gosh I must have been deprived! They had Happy Meals then? How come I never had any =P And YES I remember Cabbage Patch Kids! Haha. Those fat dolls. I don't think I owned any though! haha you remember the song too? That's cool. I can only remember the Toys R Us jingle :) Oh yes Care Bears! They have somewhat been revived recently too, haven't they? Hee, we've pound puppy twins! I loved those bacon and eggs, I tell ya! I had so much fun looking through my old toys. There're still a ton but most are still in storage. Don't want to take them out till Bubbles is ready for them. You too had happy meal toys! Hee. I never had any. I can't imagine you being a doll torturer! heh heh! Oh Corsage! I want u to share the photos of Barbie's house with the complete kitchen and whatnots! I was a fan of Barbie dool in my childhood as well! And I got to buy the barbie dresses or gowns once in a month. 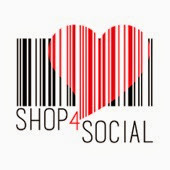 I actually hv loads of the Barbie stuffs, need to find them out and post to my blog as well. Hahaa..
Ops! It's me before. Forget that I hv to pen down my name manually if using BB to comment. Hehee..
We're vintage, babe! LOL. The caterpillar and pound puppy gang! i had a pound puppy that went everywhere with me up till i was 10 or 11 i think. now i don't know where it is an am feeling a twinge of regret! i'm sure my mum has chucked it out. she mercilessly culls a lot of our stuff whenever we move house. sigh. 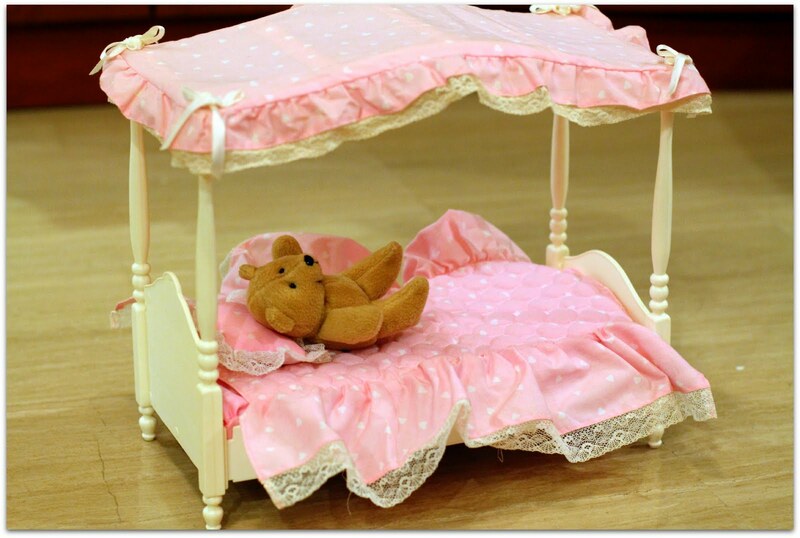 i had that barbie bed too -- one of my prized barbie possessions, together with a bubble bath. haha. I had ridiculous amount of Snoopy, a few Pound Puppies and the caterpillar too, although in a different colour. Playmobils too but they seem to be so different from the ones around now. I have that exact same Pound Puppy, along with a "wife" and "child"! Call me selfish but I won't ever inherit them to my boys. They're too careless!